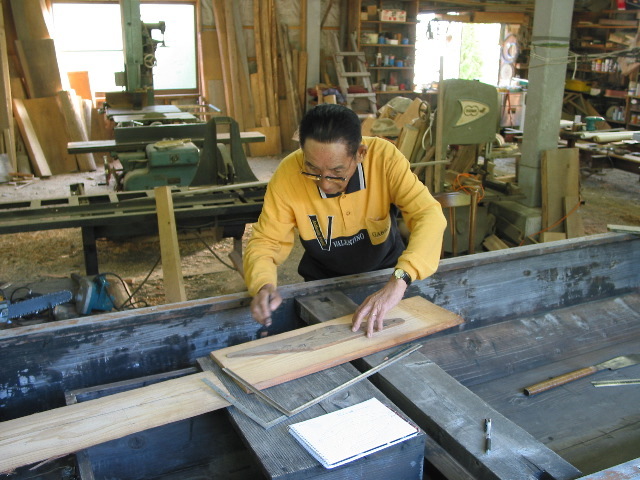 In the fall of 2006 I spent a week interviewing an 81-year old boat builder in Kyushu, Japan. Yazaki-san was the last builder of the Gokase River region, and the non-profit Riverpal Gokasegawa brought me there to interview him. Yazaki had been building boats since he was a teenager and worked largely alone his entire life. When I asked him how many generations of his family were boat builders he replied, "My family has been building boats here for at least 300 years." Yazaki had become too ill to work but he agreed to show me his patterns and explain how he laid down the lines for a 25 foot long fishing boat called an ayubune. We met every day for a week in his boatshop. 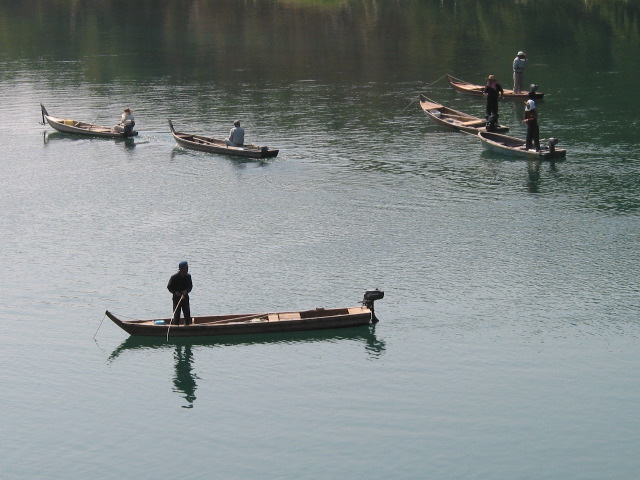 I had spoken to just half a dozen river boat builders from throughout Japan but all of them had one thing in common: none of them used plans. Yazaki-san had a pattern for the stem and the forward curve of the plank keel. He then surprised me by reversing that pattern and saying he also used it for the after end of the keel. His only other patterns were battens, that he tacked along the outer edge of the keel and were marked showing the locations of nails, bulkheads, and beams. 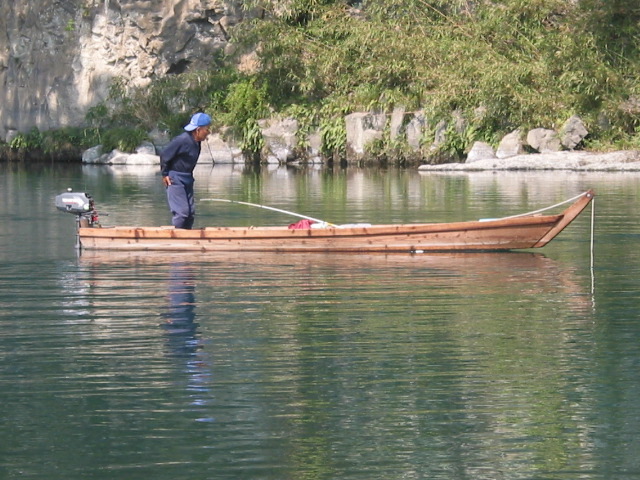 He built three basic types of boats in his career: the ayubune (in several sizes); the hakkobune, another smaller fishing boat; and the watashibune, a ferry. Luckily Yazaki had an ayubune in his shop when we spoke, which was a great boon to our work. Boat builders like him, never having used paper plans, generally are not very adept at sketching details that they are trying to explain. Instead, Yazaki would often get up and grab a saw and some scrap and begin demonstrating. One of the most interesting demonstrations was how to use the inkline (sumitsubo) to draw a fair curve. I was grateful for my video camera at that moment. My week spent with Yazaki-san largely validated my feeling that I could, if the situation was right, sit down and interview a boat builder and document their design methods. 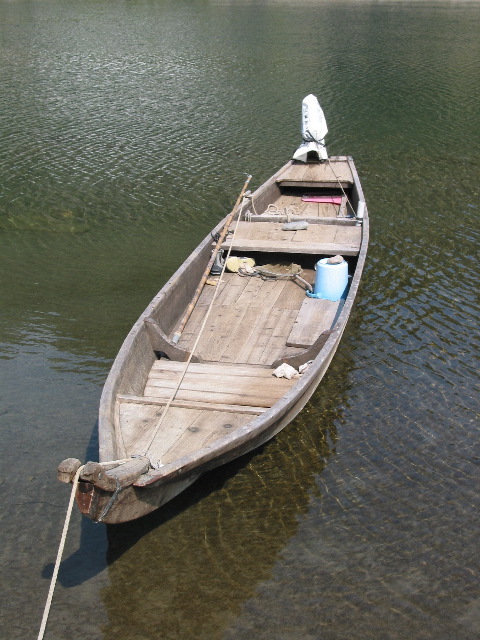 My research now is faced with the reality that so many of Japan's boat builders are too infirm to work any longer -- and that there simply is not enough time to work with many more. But after four apprenticeships in Japan I know enough of the basics of Japanese boat building techniques that I can dispense with the cutting, planing and nailing of boats and concentrate on each boat builder's individuals designs, and try to record these as thoroughly as possible. When we said goodbye Yazaki-san invited me back to be his apprentice. He felt that he had much more to teach me (and he was right). Sadly, he died in January, 2007. Riverpal Gokasegawa is hoping to raise funds to bring me back to do a lines-taking project measuring Yazaki-san's other boats, and perhaps build an ayubune. I was commissioned by a client in Williamstown, Vermont to build a small catboat for his family's summer home on Squam Lake in New Hampshire. This boat is now finished and has its own page. As a follow-up to my 2005 article for WoodenBoat Magazine on the Japanese ro, or sculling oar, I decided to build one for myself. I relied exclusively on the dimensions passed down to me from my Tokyo teacher, Mr. Kazuyoshi Fujiwara, who in turn studied ro late in his career when the last of Tokyo ro makers retired (in cities making ro was a craft separate from boat building). 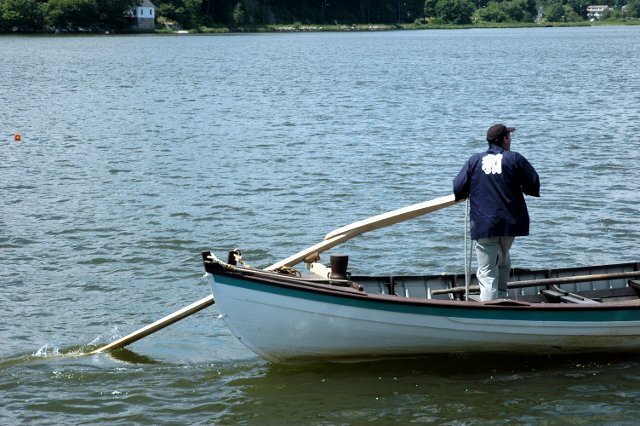 I took my ro to Mystic Seaport and the 2007 WoodenBoat Show and modified one of the Seaport's whaleboats with a ro-lock and spent part of two days sculling. The ro is an incredibly powerful method of moving a boat and I had no trouble moving the Seaport's whaleboat by myself. I hope to publish a follow up how-to article on building the ro, since my article has caught the interest of a number of cruising sailors looking for a human powered way to propel their boats.